英文記事：Could this be the scariest hotel swimming pool ever? At 5pm on a Thursday evening, the Nakameguro branch of Don Quijote is starting to fill up. The gaudy, multi-storeyed discount store - one of a nationwide chain - is an odd fit amid the boutiques and restaurants of this bohemian Tokyo suburb. But in deflation-dogged Japan, where salaries and bonuses keep falling, the company known affectionately as "Donki" has been a big winner - one of a handful of listed companies to have increased sales and profits for 20 years in a row. It is here that "Abenomics"is being put to the test. Shinzo Abe, Japan's new prime minister, has vowed to rid the country of deflation so that companies and households are more likely to spend cash than hoard it. So far, Mr Abe has focused on fiscal stimulus and monetary easing, with details of another prong of his plan - structural reforms and deregulation - expected by the summer. "Without inflationary expectations, jobs will not be created and investment will not occur," Mr Abe told the first meeting of his economic task force this month. "We have had over 10 years of deflation, and now we are going to do something different." Data released on Friday showing a 0.2 per cent fall in Japan's core consumer price index in December from a year earlier - the sixth drop of the past seven months - underlined the scale of that challenge. Meanwhile, in Donki's maze-like aisles stacked high with noodles and sauces, Mr Abe's promise of 2 per cent inflation sounds more like a threat to Sakura Ikeda, a 36-year-old housewife. "If wages rise too, then inflation is a good thing," she says. "But I can't see that happening. There is no sense whatsoever that the economy is improving." That is the snag for Mr Abe. Years of deflation and low growth have cemented expectations of more of the same. In a country where the working-age population has fallen about 8 per cent since 1995, companies have been reluctant to pass on higher input costs by lifting prices, for fear of losing market share. As tough Japanese labour laws make it almost impossible to fire workers, the result has been squeezed salaries. 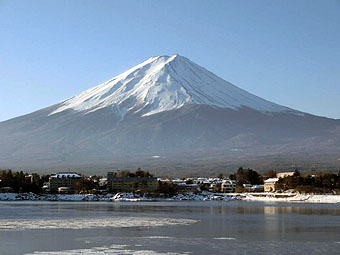 That, in turn, has reinforced the cycle of sluggish demand that has nudged Japan into its third recession in five years. Lower pay in itself has not been too hard on consumers, as total cash incomes have fallen by less than the drop in the broadest measure of the price of goods and services since the mid-1990s. Still, that effective rise in purchasing power has failed to spur consumption because employees fear that their next pay packet will be even lighter than the last. As a result, many automatically associate higher prices with lower standards of living. More than 80 per cent of respondents in a recent Bank of Japan survey who noticed a rise in prices last spring - driven largely by fuel costs - said it was a bad thing. On Friday, Bank of Japan governor Masaaki Shirakawa - who has embraced Mr Abe's target with no great enthusiasm - made the point that even during Japan's bubble years in the latter half of the 1980s, inflation averaged just 1.3 per cent. "Regardless of gender, age or occupation, the 'price stability' that most Japanese want is the sort where the economy improves in a sustainable and balanced way, with employment, salaries and corporate profits rising, and mild price increases following as a result," he said. This week Yajiuma TV, a popular breakfast show, ran a segment on strategies to "cope" with 2 per cent inflation, should the government achieve it. One suggestion was to stock up now on non-perishables. Mr Abe has stressed that higher prices must be accompanied by better wages. His cabinet has floated the idea of offering tax cuts to companies that boost pay and bonuses. For now, though, the outlook is not encouraging. Keidanren, Japan's most powerful business lobby group, claims that there is "no room" to raise pay in the traditional round of negotiations that will take place this spring, blaming the weak economy. In discussions for the next fiscal year, the management side "will give priority to employers' survival, and the maintenance and stability of employment", Keidanren said this week. However, it may not be long before the double-digit drop in the yen against the US dollar touched off by Mr Abe's recent talk of monetary easing starts to trigger a rise of gas and electricity prices, notes Satoshi Okagawa, an analyst at SMBC. If it takes until the next round of pay negotiations in spring 2014 before wages can begin to rise to compensate for those rising prices, "costs could go up ahead of income", he says, crimping consumption further. Back at Donki, founder and chairman Takao Yasuda says he welcomes the prospect of inflation, describing it as a "southern wind" to boost demand. "Inflation creates sensitivity to prices," says Mr Yasuda. "People feel like they have to hurry up and buy things, before they get more expensive." But down on the shop floor, the feelings are different. "I heard about [the 2 per cent target] on the news, and I don't really understand it," says 72-year-old Chieko Tsujii. "I'm worried, though, because I'm a pensioner. My income is not going to go up."